On second thoughts, let’s just limit ourselves to binary trees. I’ll skip over the part on inserting and removing values from the array and keep it only about traversal. There are two ways a tree can be traversed. Depth-First and Breadth-First. Depth-First, it turns out, is pretty simple to understand, if you can understand recursion. The logic is simple. The first the value of the head of the tree is passed. Then each value in left tree and finally each value in the right tree. It is important to note that this algorithm works because the traversal of this.right doesn’t even start before the traversal of this.left is done. That’s what makes it depth-first. And that is the same thing that makes breadth-first an interesting problem. The synchronous way to do that is to use an array to store the values and then later call it in order. Here, we are still traversing the tree in a depth-first manner, but we are keeping track of how deep we are, storing the values, categorised by level in a scoped array. Then, we can go and call the given function on all of the elements in the tree in the correct order. This approach works, and works great in most cases. But imagine if the tree was humongous. Wouldn’t the fact that we’re creating a whole new data structure be quite wasteful? There is, in fact, a better way. And the solution is to use the Event Loop, with SetTimeout. And just like that with 1 millisecond delays, things start working in the correct order. As you can see, by putting 1 millisecond delays, things are now happening in the correct order. But now, we have all this delay. We don’t want to wait an entire millisecond to move to the next depth-level, we want to move to the next level, as soon as we are done with the current level. Turns out that’s pretty easy. Just eliminate the 1 millisecond delay. 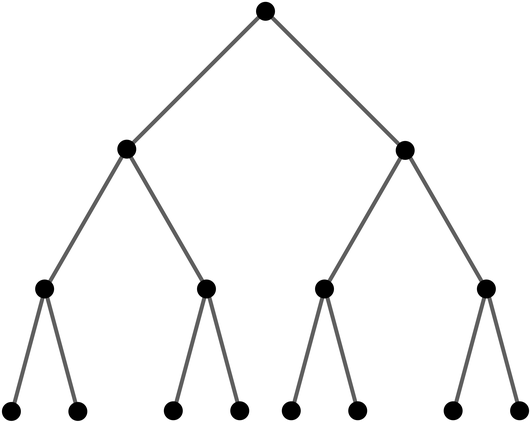 In this case, the array will only have a single value in it, the head of the tree. Everything else will happen later. So, the only way around that is to have a callback function that needs to be called when the process is ‘done’. //... everything else here that depends on this code.